Eshopps Large Round Overflow Sponge - 3 in. x 7 in. 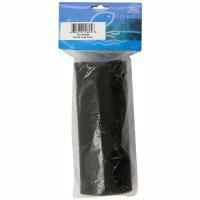 Large Round pre-filter sponge (mainly used in overflow boxes) is 180mm x 75mm with a 30mm (1 in.) center hole. 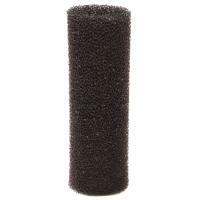 Eshopps Small Round Overflow Sponge - 2.5 in. x 7 in. Small Round pre-filter sponge (mainly used in overflow boxes). Compatible with Eshopps Overflow Boxes PF-300, PF-800, PF-1000 and PF-1200.